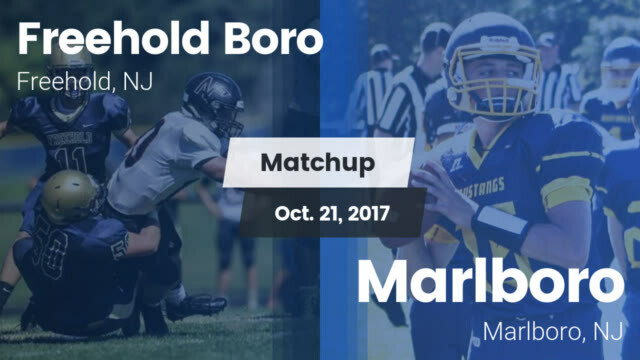 Freehold Boro wins 62-28 on Homecoming weekend. After the pep rally on Friday afternoon, and the parade of the homecoming court Saturday morning, it was finally time to play some football. The Marlboro Mustangs walked out onto Cal Dean Wilson Field with only two wins thus far. The Boro had high expectations and exceeded those expectations scoring over 60 the first time all season. Ashante Worthy- also Mr. Football did not get a break all game. I mean that literally. He was out on the field while the rest of his team was in the dressing room for the homecoming halftime festivities. Regardless, Worthy was his old self after a close one last week at Colts Neck. 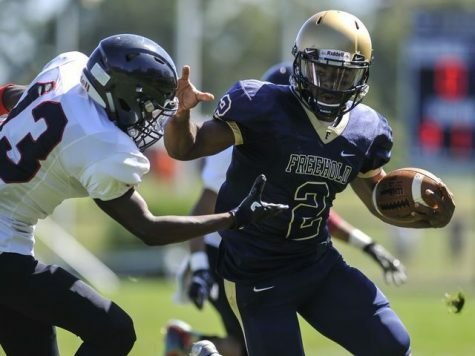 He rushed over 250 yards, threw over 200, and had seven touchdowns in just that one game. 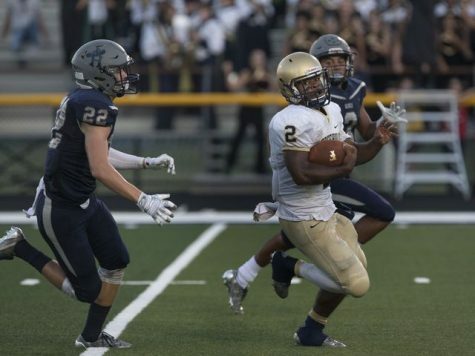 He ran in four of them, and passed the ball to Quincy Davis twice in the end zone, and once to Savion Macon. 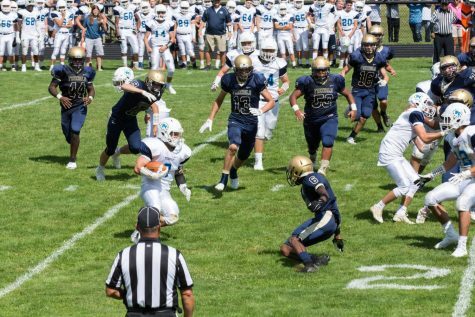 JJ Hair also has quite the performance for the Colonials as he put together seventy-four yards in just two carries in the game. Ryjhir Taylor, a junior scored his first touchdown of the season as well. The offense looked quite good, as did the kicking team. Jake Hurler had nine-point after touchdown attempts and only missed once. 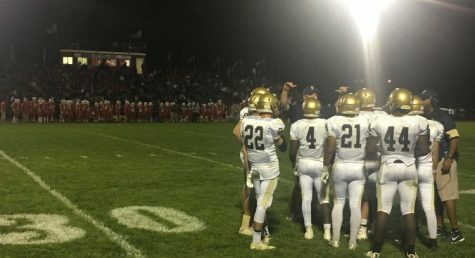 The Freehold kicker has been a savior for Coach Ellis; in high school, football PATs are just not a definite. 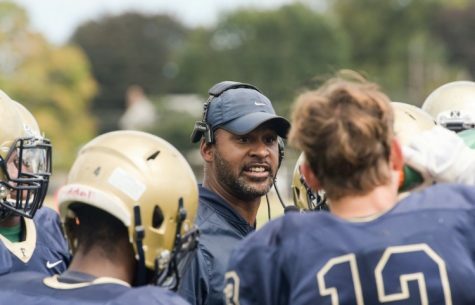 The Mustangs scored four touchdowns on the day, but the varsity defensive team only gave up two of them as Coach put the junior varsity team on the field into the second half. Even so, the JV defense did a spectacular job holding a varsity offense to just twelve. 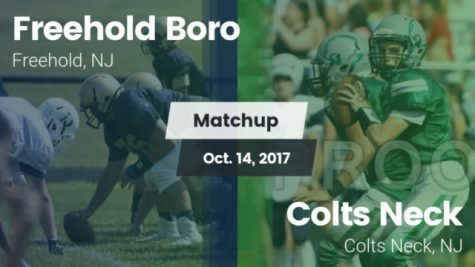 After a win at Colts Neck that was just a little too close for comfort, the Colonials looked like themselves on their home field against the rather weak Mustangs. 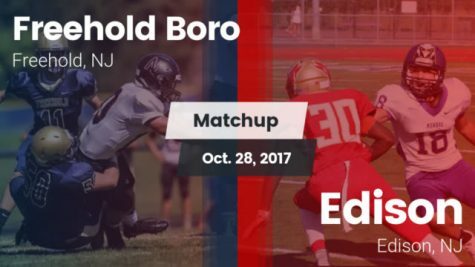 Hopefully, this confidence transfers to the home game at Edison next week as the Boro chases a playoff berth.